Whether she likes it or not, ten-year-old Piper Lee DeLuna is about to get a new family. Four years after the plane Piper's daddy was flying disappeared, her mama is getting married again. The way Piper sees it, Mama's being flat out disloyal. Besides, who needs a stepdad—or a bratty stepsister, for that matter—when she and Mama are doing just fine on their own? But when Piper Lee hatches a plan to get the wedding called off, everything spirals out of control. And by the time Piper realizes just how much damage she's done, it could be too late to fix things. "Authentic portrayals of Piper Lee and all of the characters make them real enough to cry over and laugh with . . . a warm, funny, touching, debut novel." "I totally believed in Piper Lee, and her voice . . . I was gripped by the plot. 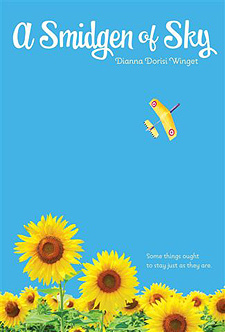 Thanks, Dianna, for writing such a powerful middle grade novel. Folks, watch out for this one!" "Piper Lee is an instantly likable, flawed character with a good heart. Hand this one to kids who want realistic fiction with just a dash of excitement." "Piper's voice is authentically youthful, as are her questionable decisions, and plenty of kids will find common ground with her as she struggles with her mother's remarriage and with the fact that her father is gone for good." "Winget provides a cozy, family-centric read with a well-deserved happy ending."